Tea lovers can confidently say, that tea - this is the most wonderful drink, enlightening the mind, energizing, help for many diseases. But still, why not everyone can drink tea? Indeed, one can often hear complaints about the poor condition after taking tea. First of all, all necessary measure. We should not forget, that tea contains caffeine, teanin, if you drink too strong infusion, It occurs overexcitation nervous system, often accompanied by headache, insomnia. And, Tea action is on the rise, drinking a cup of strong drink, you can not immediately notice the negative effects, and then to suffer from poor health. Council: do not drink strong tea, especially before going to bed. 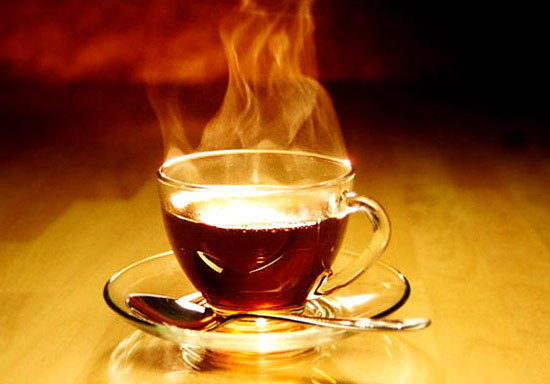 Secondly, should not be a long time to brew tea, as useful vitamins, amino acids are oxidized at the same time. Black tea after brewing should be immediately strain through a strainer. Do not leave the tea the next day, this is very harmful, in this tea very quickly bacteria multiply, and nutrients from nothing remains. <Brew tea only need certain water temperature, and for each type of tea is different. for example, for black tea water temperature for brewing should be 95aboutWITH, and green tea - not more 80aboutWITH. Do not drink scalding hot tea, it's bad for the esophagus and stomach, it is better to drink at a temperature of from 60aboutC and below. Cold tea is also not very useful. Do not drink tea on an empty stomach, especially, if concerned with disease of the gastrointestinal tract. Surprisingly, but immediately after a meal tea is also not recommended, it may complicate digestion, better to drink it through 20-30 minutes after eating. Do not wash down medicine tea, since tea can be absolutely unpredictable to interact with them, destroying their therapeutic effect. With caution tea should be drunk: people with heart problems, pregnant. Green tea slows down iron absorption, so use his faces, anemia, should be limited. Do not abuse tea patients with rheumatic, gout due to diuretic effect, because dehydration can lead to increased uric acid and attack. By following these simple tips, drink tea and not get sick!